To simplify and clarify, it might be helpful to take a step back. 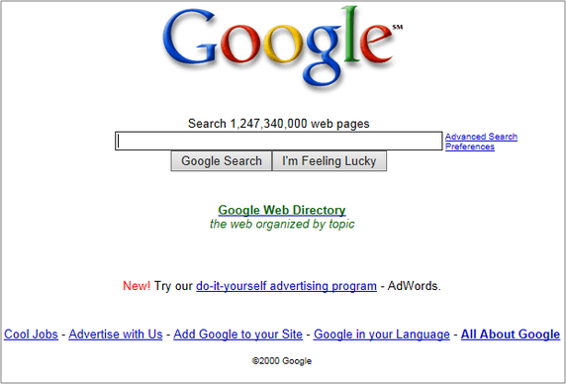 In October of 2000, Larry Page laid out his ambitious vision for Google, a company he’d founded along with Sergey Brin just two years earlier. Fast-forward almost 20 years. Google’s interface looks decidedly more modern and its functionality is now much closer to what Page envisioned. Through artificial intelligence, machine learning, and sophisticated algorithms, the search engine is amazingly adept at understanding a searcher’s intent and motives. And digital marketers are just out here trying to keep pace. Back in the day, we had these wacky contraptions called “answering machines,” which hooked up to “landline phones” (!) and recorded messages on little cassette tapes (!!) when calls were missed. This precursor to the voicemail now seems prehistoric — a sign of the speed at which technology is advancing. In 2019, answering machines are mostly gone, but the digital “answer machine” is a staple of everyday life for many of us. In fact, Google’s brand name itself is now used as a verb, describing the act of asking the internet a question. Input query and receive answers, in order of relevance. Bleep, bloop. Our hunger for knowledge is insatiable: Google processes 35,000 searches per second, and 3.5 billion each day. With this kind of volume, the high end of a search engine results page (SERP) is critical real estate; one study found that the top position gets one-third of all search traffic on average. So it’s easy to see why SEO has become a cornerstone of marketing strategies everywhere. At TopRank Marketing, we talk often about gaining this coveted visibility by being the best answer for customers, and how to achieve it through deep, comprehensive, high-quality content. But before a brand can go about creating best answers, it must determine which crucial curiosities it wants to satisfy. Herein lies the key to developing a search marketing approach that integrates with a customer-centric strategy. In many ways, the advent of voice search really crystallizes Google’s function as an answer machine (or “answer engine” as our CEO Lee Odden has put it). ComScore predicted a while back that by 2020, more than 50% of searches would be conducted by voice, and suddenly that’s less than a year away. Featured snippets (aka “answer boxes”) are gaining more prominence as the default result delivered by a voice search. These excerpts are deemed by Google to be the “best answer” for a particular query, based on various factors. We’re moving toward a more literal question/answer format with search, because while people might type a string of keywords to research a particular topic (“best answer seo strategy digital marketing”), they tend to be more colloquial when speaking to a voice-search device (“What does a best answer SEO strategy mean for digital marketers?”). Google has been encouraging this type of behavior for years, especially with the Hummingbird update back in 2013. People communicate with conversations, not just keywords. Associating the right keywords with concepts helps the overall content quality as opposed to targeting only one or a couple keywords per page. In other words, you want to address not just a specific keyword with your content, but rather the breadth of what someone is trying to learn when they search for that keyword. And so, search marketing today is less about building traditional keyword lists, and more about using those lists – along with other resources – to make deductions about which questions your customers (and potential customers) are asking. Your findings should become the foundational basis for both organic and paid strategy. Unfortunately, no machine will serve up a quick-and-easy answer in this case. It’ll take meticulous research and deep insight about your audience. Let’s walk through that process a little to set you on the right path. Marketers have a wealth of SEO data at their fingertips, and can use this information as breadcrumbs tracing back to a user’s starting point. Dig into Google Search Console to learn which queries are bringing people to your site and how many people are clicking through from particular searches. Instead of simply parsing out keywords, seek patterns and greater meaning in this data. What is it telling you about the mindset of searchers who end up on your page? By connecting search terms to pages on your site, you can get a better idea of the intent behind them (e.g., searches that are bringing people to solutions pages likely represent a more advanced stage of research). I love this little feature. When you run a search, Google will often serve up a list of related questions, and these can be extremely helpful when it comes to building out your best answer content. If you want to create an authoritative resource on the topic you’re targeting, chances are you’ll want to account for each of these tangential queries in some way. Schema structured data helps search engines (and their users) understand the purpose of a page, and the questions it is trying to answer. Adding these tags to your source code enables a SERP to display rich snippets that are directly relevant to a searcher’s query. Why is this so powerful and relevant? Last summer Google confirmed that it had been testing a new featured snippets in the form of FAQs, Q&A, and How-tos. And as it turns out, Schema.org has a lot of this markup readily available. SEMrush: Awesome SEO tool that shows real-time keyword volumes and (more importantly in this case) “Phrase Match Keywords” and “Related Keywords, which can lead you down other branching paths for that search journey. The Keyword Magic tool is very helpful for finding question keywords. BuzzSumo: A great site for finding trends around any topic or keyword. In particular, I recommend using its Question Analyzer function, which is perfectly suited for the purpose at hand. 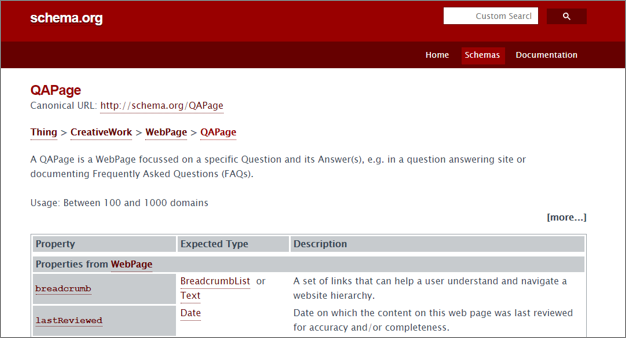 This enables you to identify questions being asked on Q&A sites or forums, clustered by topics. AnswerThePublic: The “auto suggest” feature in Google is similar in function to “People Also Asked,” but can provide more extensive insight. AnswerThePublic helpfully takes these snippets and turns them into conversational keywords, delivering a “question wheel” of longtail inquiries stemming from that term. Multi-touch attribution is not easy to master, but those marketers who gain proficiency are able to tap into key buyer signals. When you follow the string backward on a purchase someone made, identifying touch points along the way, you can learn a great deal about the questions they asked and the content they consumed to reach that decision. As you start to gain a better grasp of the searches that carry clear commercial intent, you can begin to situate your PPC strategy around them. Those are usually the clicks worth paying for. Not every priority question for your audience will be worth attacking. Make honest assessments about the existing search results for certain terms. If another company (or, in many cases, Wikipedia) is already owning the answer box with a stellar page, you may want to turn your attention elsewhere or at least push it to the back burner. The sweet spot is when you can find popular questions among your audience that aren’t already being definitively covered. This also applies to paid keywords with lower competition. Those are the gaps you want to fill with your best answer strategy. As your site gains authority and backlinks, you may find it easier to topple some of the entrenched leaders for other high-volume queries and higher-cost keywords. The late businessman Arnold Glasow once said, “It’s easier to see both sides of a question than the answer.” Very true. When marketers make the effort to see every side of the questions their customers are asking, we can see the bigger picture and craft content to fully satisfy the extent of a searcher’s interest. At TopRank Marketing, we’ve built our search marketing philosophies around this belief. Google has come a long way since its early days, and our approach to working with it must evolve in kind. In the age of RankBrain, you’re not going to game this ultimate search engine through keyword-stuffing or other gimmicks. Google is continually getting better at understanding exactly what a searcher wants and giving them the right thing. If we want to be that “right thing,” we also need to understand exactly what our customers want, and we need to deliver it. To paraphrase the great Ricky Bobby: If you’re not best, you’re last. Want to learn more about TopRank Marketing’s take on modern search marketing? Go ahead and peruse our SEO service page. The post How B2B Marketers Can Win at Search with Best Answer Content appeared first on Online Marketing Blog – TopRank®.